If you need a free way to generate traffic to your site or interact with your audience then look no further than Twitter. Many have been skeptical using Twitter for their business. If you look at popular local businesses, you’ll notice that they haven’t much bothered themselves with the concept an all. Beyond simply setting up the page, they might have 10-100 followers for their site. Most businesses put all their attention on Facebook, but you shouldn’t put all your eggs in one basket. The main reason people prefer Facebook for business is the audience. Facebook, in general, boasts an older audience with more money at their disposal. Certainly true now, using Twitter can help you future-proof your brand with younger audiences that don’t see a lot of commercial exposure on their feeds. The one thing that makes Twitter so appealing is that you can connect with your ideal audience through the use of hashtags. On the other hand, Facebook forces you to pay to connect with people you’re not already friends with and their algorithms for connecting your business to audiences is not ideal compared to that of something like Google AdWords. In addition, it’s even easier to grow your audience for free on Twitter than it is on Facebook. In our opinion, 2007 to 2009 was the time to set sail on the Facebook boat and garner an incredible amount of followers. Now, you pretty much have to pay for it and for smaller businesses, that’s not ideal. In another sense, Google seems to like Twitter as well. 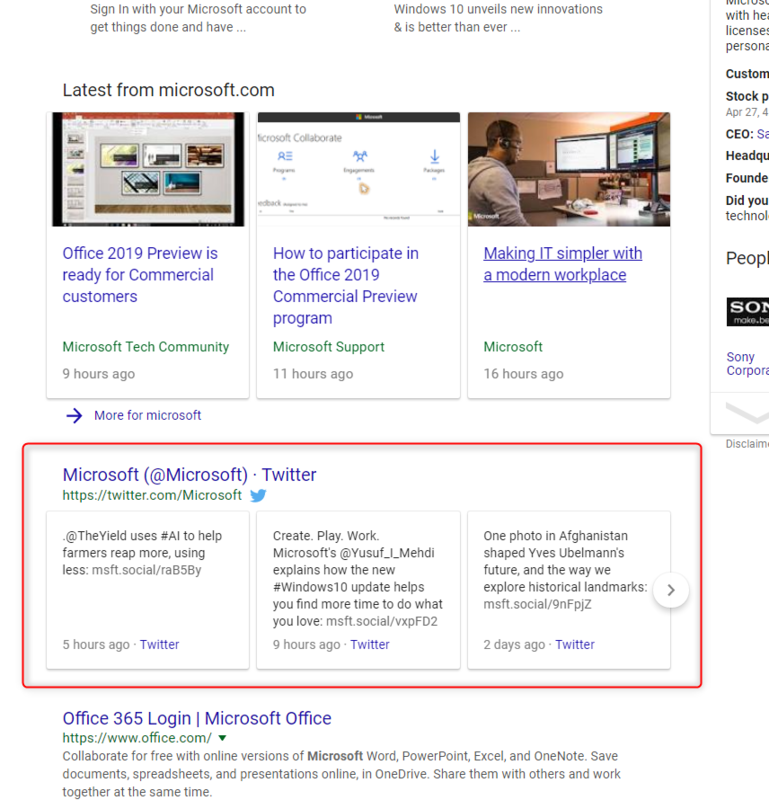 You might have noticed the cool carousels that appear in search results from a business’s Twitter page. They know their audience and they use Twitter to connect with them. Now, let’s compare this to another, similar brand and see how well they do. 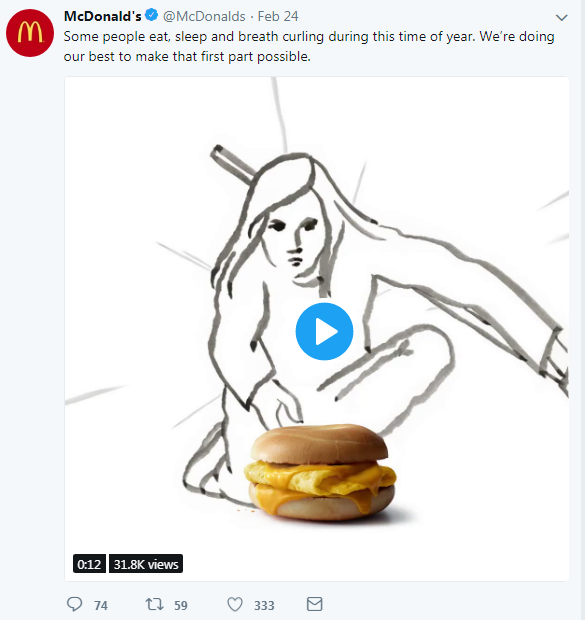 McDonald’s, while arguably a more successful business doesn’t do as well because they try to please everyone, they have no distinct audience and while that works for their business model, it fails for social media outlets. Take a look at this post for the winter Olympics. 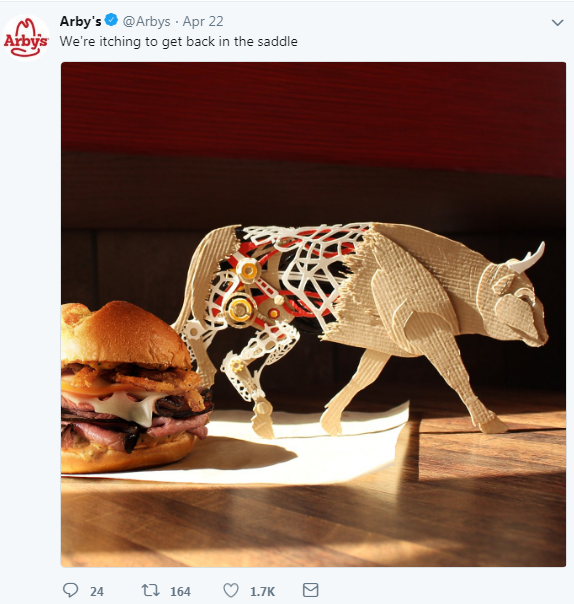 Comparing stats, there’s a huge disparity between the amounts of likes and shares and that’s because Arby’s is doing Twitter SEO the right way. You need to define your brand and then connect with like-minded audiences to optimize the impact of your social media presence. You can see the difference for yourself. In a recent study, researchers found that 30 out of the top 50 brand names worldwide have their Twitter account pages showing up on the first page of Google search results. A group called Statista reports Twitter has 33.2 percent penetration in the US market here in 2018, and the audience size in that channel is only set to increase. Gaining a Twitter Card is one of the main goals of proper Twitter SEO. Once your site, profile, and Twitter account have become reputable enough, Google will pick up on this and give you specialized slots in the search results for your business. This factor has been proven to make you look more reputable and list you as an authority figure in that niche. 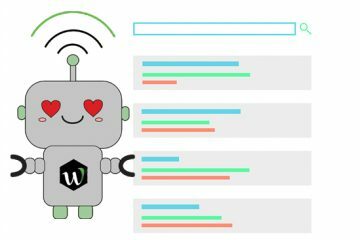 Google has started to give more weight to social media posts, granting you better overall SEO in the long-run. The truth is that you can no longer afford to ignore the growth and value of your social media presence. Many people missed the boat on Facebook. The same is not true of Twitter and should remain the focus of building your next social media powerhouse for free. At the end of the day, you simply need to tell your story. 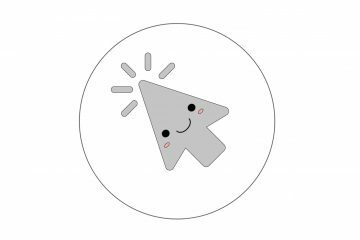 Our advice is to figure out what you want to say, who your ideal audience truly is, and create visually stimulating content just for them. If you don’t have a Twitter presence now, you have nothing to lose when it comes to alienating other audiences. If you want to learn more about growing your brand with Twitter, contact the expert at WebCroppers for help. 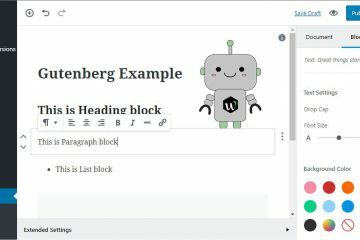 What is Gutenberg for WordPress?